Heard of super foods? You might say it would be absurd to link it to Superman's diet. I guess it's a possibility. 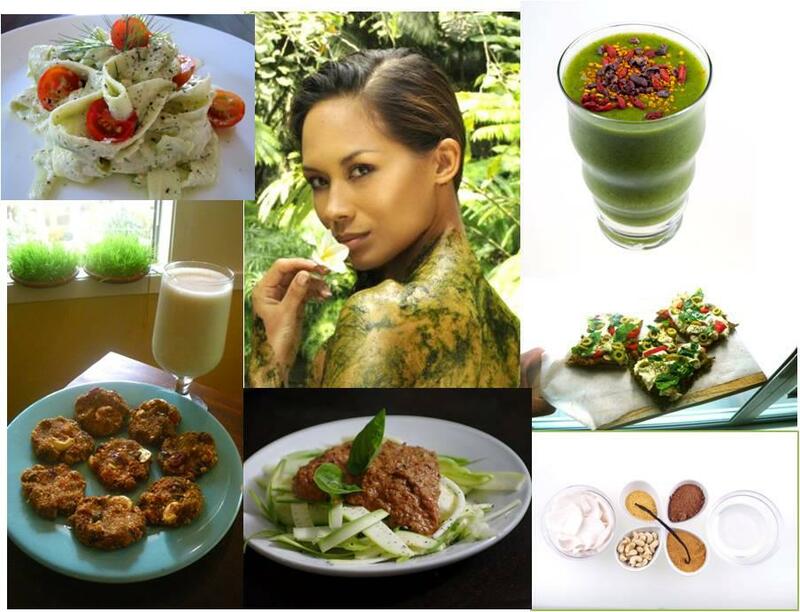 But if you're as curious as I am, let us check out The Beauty of Raw with 'Demystifying Superfoods' with certified Raw Food Chef and Health Educator Mona Lisa Neuboeck at Sugarleaf, MEDICard Lifestyle Center on 12 May, 230-530pm. Join a group aiming to live healthier on a three-hour class that will focus on the countless benefits and preparation of recipes focusing on powerful healing properties of imported and local super foods. According to Mr. Songco, Marketing and Business Developer of Sugarleaf, Inc., super foods are vibrant, nutritionally dense foods that have recently become widely available and which offer tremendous dietary and healing potential. It's going to be a lively and informative class where raw-food chef and instructor Mona Lisa profiles delicious and incredibly nutritious plant products such as goji berries, hemp seed, cacao beans (raw chocolate), maca, spirulina, bee pollen, and a host of local Philippine super-foods, as powerful sources of clean protein, vitamins, minerals, enzymes, antioxidants, good fats and oils, essential fatty and amino acids, and other nutrients. They represent a uniquely promising piece of the nutritional puzzle. Each super food is described in detail, and the catch, generous servings of Mona Lisa's easy and delicious signature recipes. This fun and educational class introduces persuasive arguments, based on sound science, for the important role of superfoods in promoting nutritional excellence, health and well-being, beauty enhancement and the transformation of diet, lifestyle, nation and planet. Venue will be at Sugarleaf at the MEDICard Lifestyle Center located at 51 Paseo de Roxas corner Sen. Gil Puyat Avenue, Urdaneta Village, Makati City. Email angelo@sugarleafph.com or call, SMS 0917 8039 055 for more information and reservations. Be informed and not left out, with only P2,200 per person comes with an incredibly healthy and delicious helpings of all dishes prepared. P200 discount for senior citizens, pairs, couples, groups and students and attendees pre-paying for the workshop through Sugarleaf’s BPI Wilson Street bank account. See you there! P1,900 for prepayments made before 4 May at the store or through bank transfer. Attend any three of the four parts of The Beauty of Raw (from May to September) and attend the fourth for free! Come in a group of five persons and pay only for four. Maybe added some best multivitamins for women, these recipes would be really healthy.